It’s quite easy to do a Google search on Android. Maybe too easy. The deep tie-in is an important feature, and one of the reasons Android is the superior choice for those who rely so much on Google services. Yet, sometimes picking out just how to do a Google search is like choosing from among 12 shades of blue shirts you have hanging in the closet. 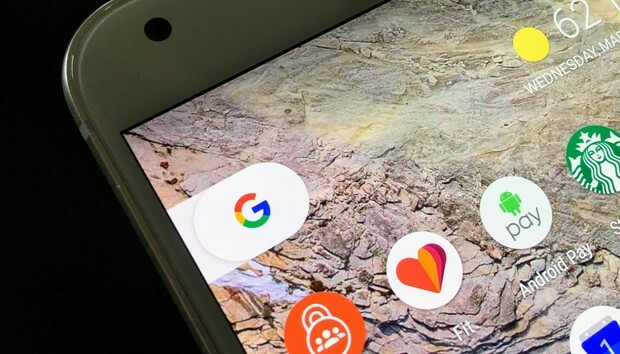 There’s the persistent Google search bar that lives on your home screen. The Omnibox in Google Chrome, voice searches and contextual tools from the Google Assistant, the Google app, and an always-present search button in Gboard. We get that Google wants to be helpful and all, but sometimes it feels like that overeager know-it-all you remember from fourth grade. Not to worry! Each of these different search methods have their own particular strenth. If you learn the nuances, your Android use will be even more powerful. It can be done, and here are some tips that show you how. Voice and artificial intelligence have been the most noteworthy innovations in how Google search works on Android. Now, most phones running Nougat and Marshmallow have or should soon receive the Google Assistant. Not only are you able to issue edicts and ask questions to Google from your phone, but you also usually get more contextual answers and control over smart devices. From the Google app and Google Home you get a pretty exhaustive rundown of sample questions you can ask. The Google Assistant is ready to answer just about any question you have. What I’ve learned over time with my Pixel is that the best searches to use here are ones that you’d consider a natural language query. Questions like, “Who won the World Series last year?” or “How long do I barbecue sausage?” are among the wide range of things you can ask. For personal organization, try asking, “When is my next appointment?” if you keep all your key events of the day in Google Calendar. Ask a question, and you’ll often get an answer. If you haven’t done so yet, you need to tell Google to listen to voice queries whenever you announce, “OK, Google.” Go to Google > Settings > Voice. Touch “OK Google detection” and then flip on “Say ‘OK Google any time’ so that your phone will listen you. You can also select a “Trusted Voice,” which in theory means that only you will be able to start a voice search. You’ll be asked to speak the phrase, “OK Google” a few times, but I’ve yet to see it make a major difference in differentiating between who is speaking. I can’t tell you how many times a TV commercial for the Pixel or Google Home has set off the search. Despite that occasional annoyance, you’ll find the Google Assistant is a great tool to have. There’s an ever-present Google search tool at the top of your phone. It’s a big G on the Pixel or a traditional search box on other Android devices. It does a lot more than search the web, and it’s better suited than other search methods on Android for a few particular uses. This is where I tend to turn to first if I’m just unlocking my phone and not using another app. The search query could be anything, and I find you’ll get the result faster if you use less conversational, more "search term based" language. Be direct and you’ll find the information quickly. It’s especially a fast way to get sports information, often doing so much quicker than opening ESPN or another league-specific sports app. The Google search bar finds apps, scores, and of course taps into the giant’s massive database of information. This search feature also will dig inside of your apps. This means it’ll pull up text conversations, app names, emails, and other information. The content is saved on device, so it’s not part of the massive data-mining operation Google has on you with other services. Find content from inside your apps with the Google app. This means it performs more like Apple’s Spotlight on iOS. However, developers have to do some work on their end to enable this magic. To find out which apps are eligible, or to opt one out, go to Google > Settings > In-apps. Select which apps you want Google to dig through during your next search query. By now you know that Chrome has Google searched baked right into the Omnibox. I find that Chrome is the best place for search in a couple of circumstances. First, if you’re already in Chrome it’s faster to just touch the Omnibox or open a new tab and start your query. If reading is on your mind, you’ll be able to jump right to a frequently-accessed app or scroll down to get a list of article suggestions, much like Google Now. Chrome is all about the web, giving you links to the sites you regularly visit and providing a similar layout to search on the desktop. I also tend to go with Chrome if I know that my result is likely to be something that I’ll be taken into reading for awhile, such as a Wikipedia page a publication I visit often. Also, it means I can access this Chrome page on another device thanks to the syncing feature. Google’s screen context search tool (formerly called Google Now on Tap) has steadily improved over time to be a very useful feature. The Google app will “read” the contents of your screen and then suggest what it deems are relevant actions and searches. To try this, touch and hold the home button and then swipe up to reveal what Google has come up with. Use Google’s screen search to find out more details or create a calendar entry from a conversation. For me, it’s most useful when chatting about making plans and I want to find out more about the venue or quickly add the event to my calendar. This is one of those machine learning features that continues to get better over time so try it out under a lot of different circumstances to see what works best for you. But wait, there’s more. Yes, if you use Google’s Gboard, there’s a dedicated search button right at the top of the keys. So, when should you use this other search opportunity? Perhaps if you need to know something right away that’s relevant to your conversation and you don’t want to switch apps. Gboard is useful, even though it seems like it’s duplication of service. The search bar is handy, but it’s awfully close to overkill. Gboard' search came first to the iPhone, presumably as a way to get Google search more readily available on iOS. With so many system-level choices to search Google on Android, you may not need it that much. It can give you the weather quickly, however, and it does a killer job finding GIFs. So there you have it. You’ll go less batty with Google search if you know exactly where and when to use it. Play around and see what’s best for you. And if you’re not sure, well, you have plenty of ways to Google it.